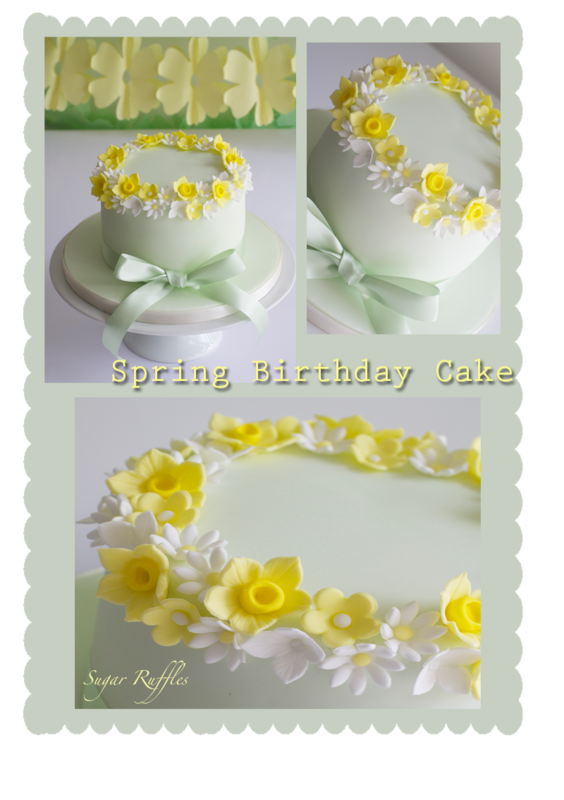 Spring Birthday Cake- A mint green birthday cake topped with a crown of spring flowers including daffodils, daisies, hydrangea and yellow blossoms. Vanilla bean cake layered with vanilla bean buttercream and raspberry conserve. 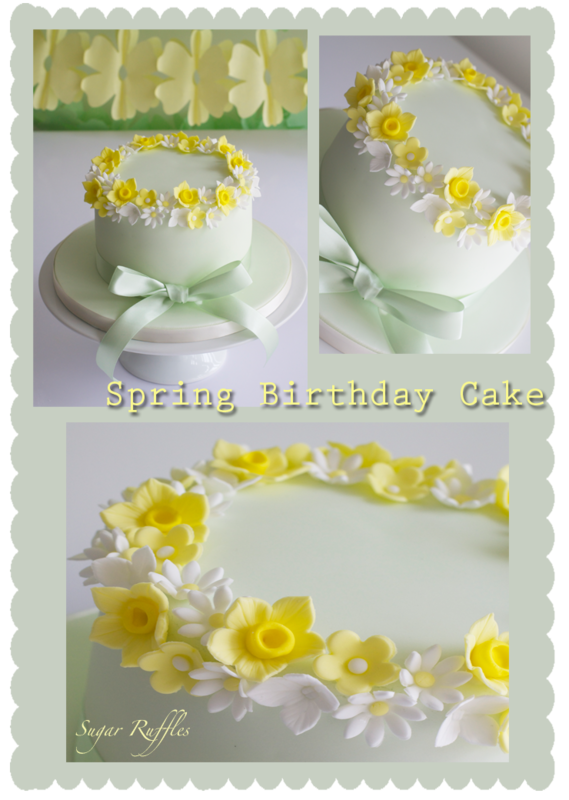 I'm loving the simplicity (and the colours) of this cake.